Cpl. 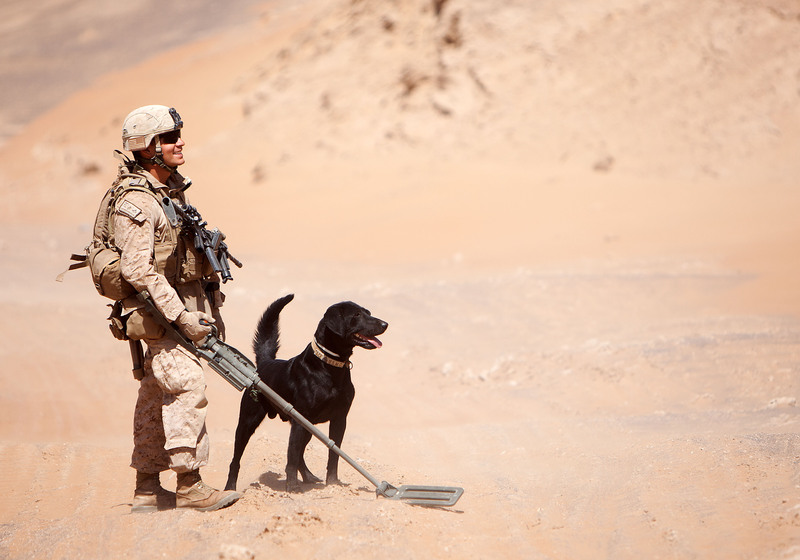 Sean Grady, a dog handler with Echo Company, 1st Light Armored Reconnaissance Battalion, and Ace, an bomb dog, sweep a chokepoint on April 27, 2012 during a patrol in southern Helmand province, Afghanistan. For U.S. forces on the ground, the future of warfare isn’t a $250 billion fighter jet program, its a cheap, but devastating bundle of wires rigged to homemade explosives or Vietnam-era ordnance — the IED. IEDs came to define the wars in Iraq and Afghanistan wreacking havoc on Marines everywhere from Al Anbar to Helmand. But, with the withdrawal of U.S. forces from Afghansitan later this year, the IED threat will not evaporate, according to one of the Corps’ top IED experts. “We have seen the future of warfare and it’s the IED,” Master Gunnery Sgt. Steven Williams, the staff noncommissioned officer in charge of the Marine detachment at the Naval School Explosive Ordnance Disposal at Eglin Air Force Base, Fla., told Marine Corps Times. “Why? Because it works, and everybody knows it works. IED’s alter the way we think, plan and execute. IEDs tie up money, resources and manpower,” he said. Global enemies, terrorists, and non-state actors have taken note, and seasoned bomb technicians tell us the IED will remain a global threat even past the coalition exodus from Afghanistan. 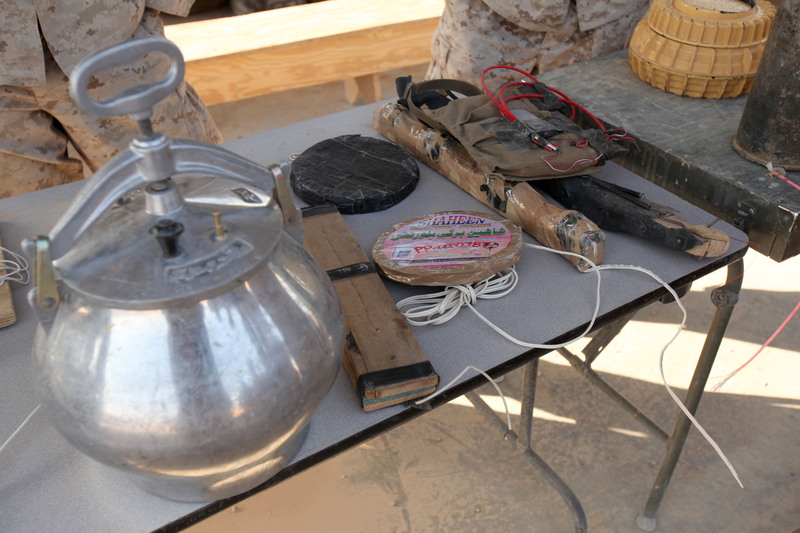 The Corps should expect to see IEDs even during the pivot to the the Pacific. Read the full story, with quotes from battle hardened bomb techs, Monday in print in the The Marine Corps Times newspaper or online in Marine Corps Times Prime. Thankfulness to my father who informed me regarding this blog, this blog is truly awesome.